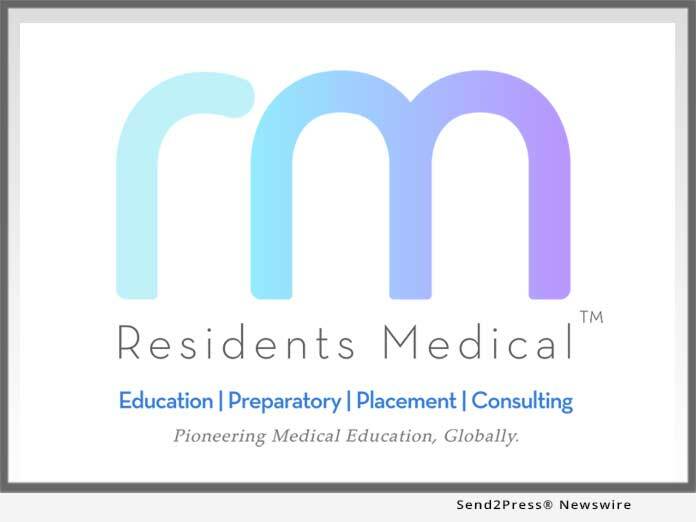 LOS ANGELES, Calif., Apr 03, 2019 (SEND2PRESS NEWSWIRE) -- On March 14, 2019 the National Residency Match Program (NRMP) released the list of applicants that applied for a Post Graduate Training slot also known as a medical "Residency." There were just over 44,600 applicants that applied for 35,000 residency positions nationwide, says Residents Medical. The disparity between applicants and available training slots has been increasing annually for almost two decades and has been labeled the "Residency Bottleneck." These are applicants that are stuck in limbo and come from around the world. This has been an epidemic long in the making and receives very little attention. Residents Medical, an education, preparatory and resident placement assistance organization based in Los Angeles, has been making headway in making a dent in this systematic institution problem of medical graduates not being able to achieve their career goals, and having to settle for another career path, all the while there is a medical doctor shortage in America. Dr. Syed, Senior Guidance Counselor Specialist at Residents Medical, explains, "There are areas in California where there is not a General Surgeon in a 50-mile radius. We're not talking about the outskirts of Alaska here; this is just a few hours outside of Sacramento." The global force at Residents Medical is strengthening its candidates' resumes with proprietary time-tested educational and preparatory tools and the outcomes have been great. Of their candidates who landed residency, 81% were in the Main Match. The other 19% were assisted in securing SOAP and Post-Match positions. In reviewing Residents Medical's website, you'll see they have an integral and nuanced approach in helping this specialized field of medicine. There are other consulting groups that help with the board examinations and interview preparation, but researching Residents Medical's offerings reveals that its one-stop educational sphere with an important distinction that helps at the heart of the problem with Residents Medical's Residency Placement Assistance Initiative. The crux of the "Residency Bottleneck" is two-fold: not enough residency slots and too many applicants; the residency programs' infrastructure gets overwhelmed during the application and interview process. Residents Medical works to isolate and address these two problems by creating residency opportunities and distinguishing its residency candidates through a holistic CV-building mechanism. It's important to recognize this and find a solution so that America can remain the world's healthcare leader. Organizations like Residents Medical demonstrates care, willingness and innovation for the medical community as a whole. Business, California Business, Education and Schools, Graduate Medical Education, Health and Medical, Los Angeles Business, LOS ANGELES, Calif., medical school, National Residency Match Program, Residents Medical Group, Inc.